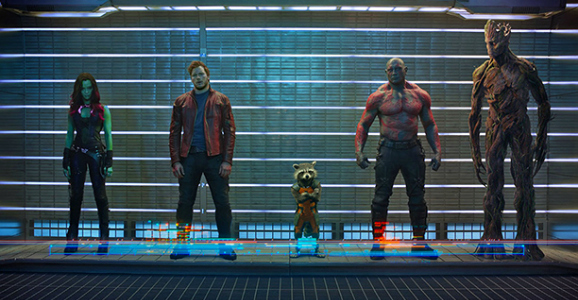 Marvel Studios’ movies are known for their post-credits sequences that tease what’s to come. Since Marvel producer Kevin Feige said that the post-credits sequence is not mandatory and are merely for fun, some have speculated that Guardians of the Galaxy might not have one at all. But according to a few sources, director James Gunn is currently doing re-shoots for Guardians of the Galaxy in Los Angeles. 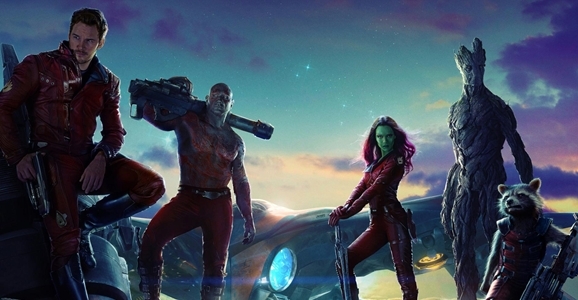 J. Gunn on reshoots: "Anything you want you didnt get? Go for it. Something to make the movie better? Do it. Cool cameo idea? Bring 'em in." It’s a colossal understatement to suggest that the Marvel Cinematic Universe has had an impact on the landscape of feature films this past decade. Beating the odds and making a successful Iron Man movie was one thing, but they had the gall to include a post-credits Easter egg scene that introduced Nick Fury (Samuel L. Jackson) and which suggested they had much, much bigger plans in the works. Premiering tomorrow night, a TV special called Marvel Studios: Assembling a Universe tracks how Marvel Studios did the seemingly impossible — creating a true movie counterpart to the serialized and intertwined stories fans loved from their comics, and making huge bank off unsure-thing characters such as Captain America, Thor, and — dare we hope? — the Guardians of the Galaxy. All of us at the studio wanted to do something new, wanted to do something original … Excited about doing something, frankly, that most people had never heard of… [It] couldn’t be more distant in geography to the other films. 99% of this movie takes place on the other side of the galaxy. Never mind the themes and character interaction… there are a handful of characters you’ll see in this movie who will carry through to other films as threats to Earth. Since 2008, Marvel Studios has been on the top of Hollywood. It’s strange to think, but back then, studio executives and film pundits were unsure if the original Iron Man movie was going to be successful. Iron Man and Tony Stark weren’t household names the way Batman or Spider-Man were, and the idea that five standalone superhero movies would build toward one big epic movie with The Avengers was just absurd. Now that we’re firmly in Phase Two of Marvel’s movie empire, and a new TV special will give viewers an inside look at what’s in store for fans in the upcoming years, including new footage from Guardians of the Galaxy. Marvel Studios: Assembling a Universe is a one-hour TV special that will take viewers behind the curtain at Marvel Studios. The special will air on ABC this March and will feature “a front row seat to the inception of Marvel Studios, the record-breaking films, the cultural phenomenon, and further expansion of the universe.” During the TV special audiences will be treated to a sneak peek at three upcoming Marvel movies, including Captain America: The Winter Soldier, The Avengers: Age of Ultron, and Guardians of the Galaxy. With the upcoming release of Guardians of the Galaxy, Marvel Studios is putting the spotlight on the obscure comic property in a big way. 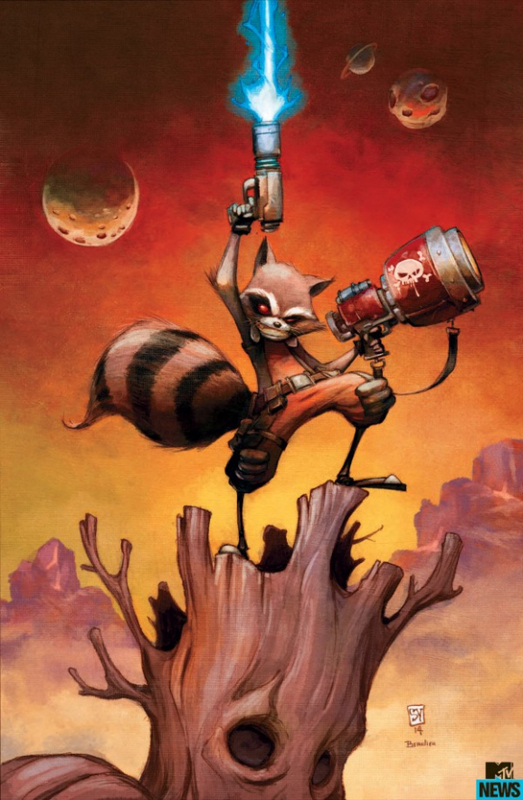 There are rumors that Marvel is developing a new animated series focusing on the cosmic team of outlaws, and now it appears that fan-favorite Rocket Raccoon is getting his own spin-off series this summer. 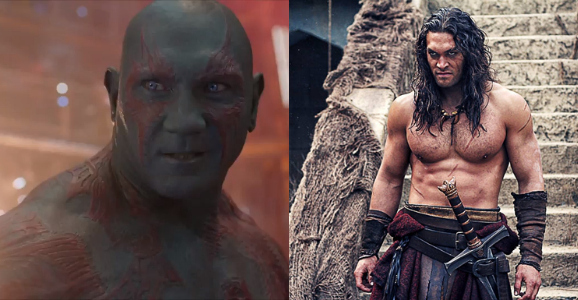 Last year, Jason Momoa was up for the role of Drax the Destroyer in Marvel’s Guardians of the Galaxy. The studio seemed so impressed with Momoa’s presence and physicality that it appeared that he was a virtual lock for the role. But at the last minute, Momoa turned down the part and Marvel started screen testing again, deciding to have WWE wrestler Dave Bautista portray the resurrected alien.